In the mood for an interesting Argentinian dining experience? Then check out Nahuen*, part food-court, part deli, and part mini supermarket, where you can pick and choose from a variety of empanadas, sandwiches, entrees, and prepared foods! Also make sure to wash everything down with a nice cup of Lavazza coffee! 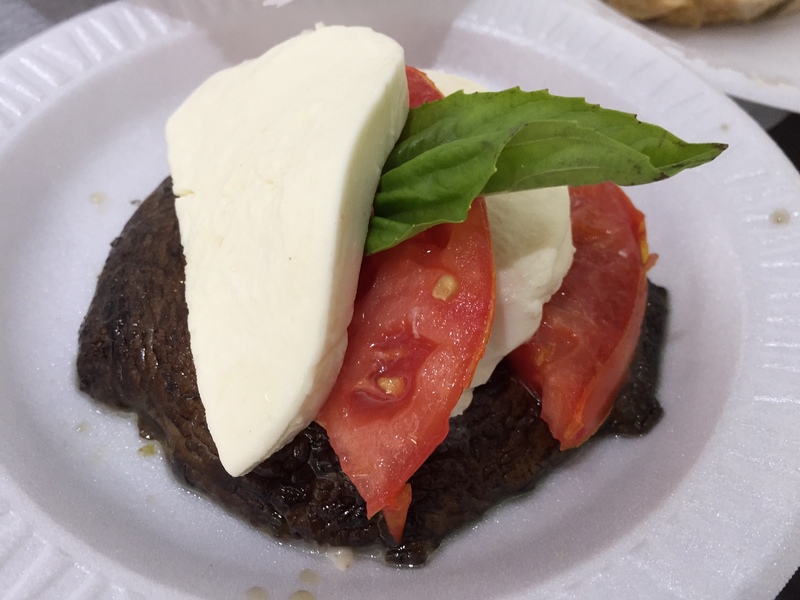 When I visited, I ordered the Portobello Caprese for starters, a double layer of tomato and mozzarella atop a huge portobello mushroom, with a fresh basil leaf. I then continued with a Spicy Chicken Empanada and a Veal Roll. 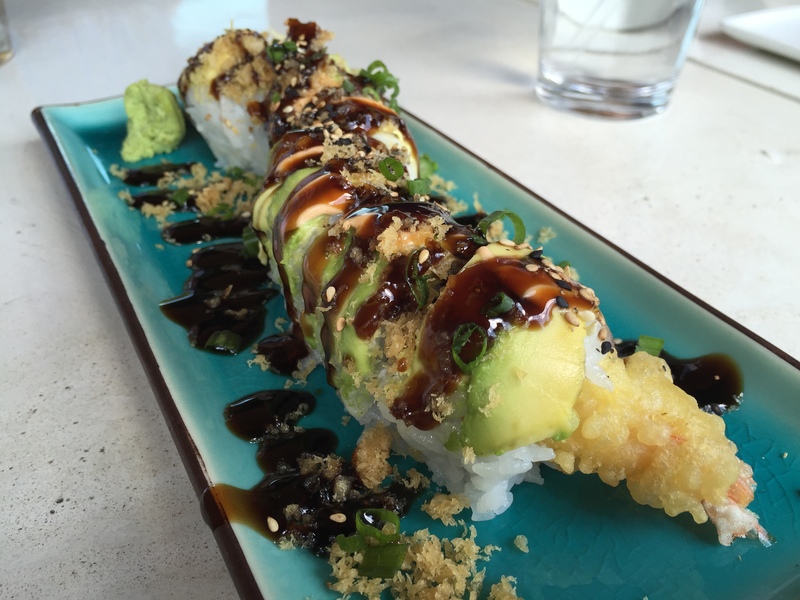 I’ve been to the Lime* in Doral a couple times now, and have never been impressed by what I’ve gotten there. 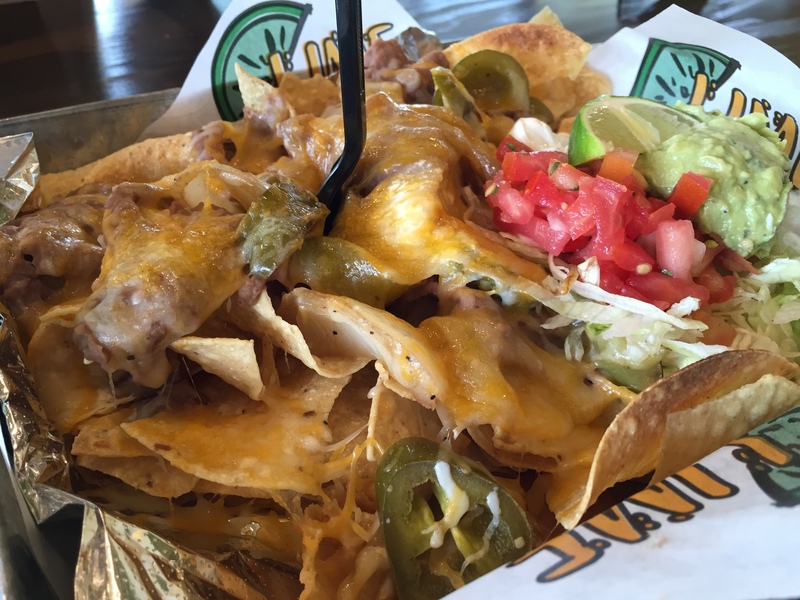 This last time, I ordered the Nach’yo’momma’s Nachos and was still… (unsurprisingly) unimpressed. From the menu description, the nachos had sounded pretty promising… I was ready for a plate packed with queso, shredded cheese, black beans, sour cream, guacamole, pico de gallo, and jalapeños, — and I even ordered extra bell peppers and onions on the side! That’s strike three for Lime in my book! I’ve gotten the Original Tacos several times before, but was never satisfied with the taste of those either… Also, my co-worker got sick from whatever she ate there, so I sure won’t be going back anytime soon. There are plenty of better Mexican (and other Latin American) options in town anyway. Even though I have just an average opinion of Green Plate Asian Bistro*, my co-workers seem to like it, so I was recently back again there for lunch a third time. They say third time’s a charm, right? I went out with some co-workers for lunch to celebrate my birthday, and ordered the Contra Filet (medium), a New York Strip cut of a meat, with Chimichurri or Brazilian Vinaigrette and my choice of three sides. For $12.99, that doesn’t sound half bad. I chose the Chimichurri — love that stuff! — as well as farofa (described as “toasted manioc flour and mixed with scrambled egg, bacon, olives and parsley”), grilled veggies, and french fries (seasoned with rosemary, garlic, and parsley) for my sides. FYI, you don’t have to order the rice and black beans if you don’t want to! The steak was actually quite delicious. Good, in fact — and I rarely say that! It was fairly thinly sliced, with beautiful grill marks, and very flavorful and juicy, as you can see from the photo. The pinnacle of my meal, hands down, especially in conjunction with the Chimichurri — so oily but so good! The seasoned fries were pretty tasty as well, and I’d rate those a fine.